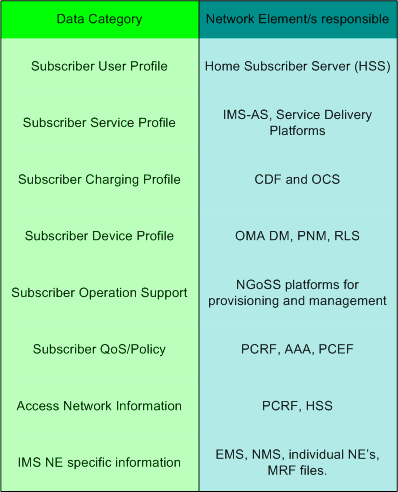 The Tele Management Forum (www.tmforum.org) introduced the concept of an Integrated Business Architecture to epitomize the end-to-end view of the OSS/BSS ecosystem of a Service Provider’s network. 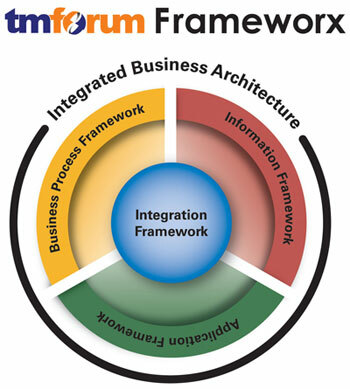 The Integrated Business Architecture is a convergence of the four major frameworks of the TM Forum standards. The Business Process Framework (eTOM) standardizes the business process view of a Service Provider’s business operations. The business process framework is a logical layout of horizontals and vertical constructs where the horizontals concentrate on a particular domain of business operations, while the verticals are end-to-end views spanning across these horizontals. At the intersection of these horizontals and verticals, the business process framework defines certain process elements – which are a reusable set of business activities to be performed. The service provider can stitch these process elements together to realize end-to-end business process flows. The Information Framework (SID) standardizes and defines a set of business entities – which represent the information (entities and their attributes) which flows across the organization. The Information framework defines an information model, which can be extended and realized to present an implementable data model. These business entities are created, read, updated and deleted (CRUD) by the process elements defined in the business process framework. The unified modelling language (UML) is used for representing the business entities and for extending them for use. The Application Framework (TAM), defines a set of applications which are a realization of how the business processes are implemented as part of a software architecture. The TAM applications represent a set of software applications which can be used as a reference for implementation by ISVs and as a common reference map for the procurement of OSS/BSS software and systems. The TAM also presents a non-exhaustive list of capabilities for each application which is a useful tool for gauging compliance. The TM Forum community is working on defining mappings between TAM applications, SID business entities and eTOM process elements for providing an end-to-end logical view and reference for the service provider and ISVs. The Integration Framework defines a methodology and guideline for enabling systems integration between systems by the use of standardized ‘Business Services’. The role of the integration framework is to promote interoperability between systems and to define a common paradigm for systems integration across the industry using a SOA based integration framework realization – such as an ESB. In addition to the ESB capabilities (which are expected), the integration framework defines a capability-dependency model of business service design. Several business services come together to form software components, which are responsible for the flow of information between disparate systems. The TM Forum Frameworx provides a complete end-to-end view of business operations for any Service Provider’s network. 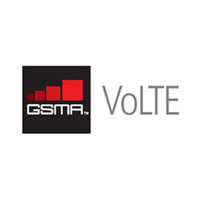 It is necessary that for interoperability and smooth operations, ISVs and SPs comply with the TM Forum standards. Standards compliance is required for Greenfield operations, so that the OSS/BSS implementation is done correctly the first time itself and the SP achieves fast Time to Market. For Brownfield operations, standards conformance and alignment is required – so that future enhancements to the OSS/BSS stack can be done smoothly, and the same stack can be re-used for multiple lines of businesses.